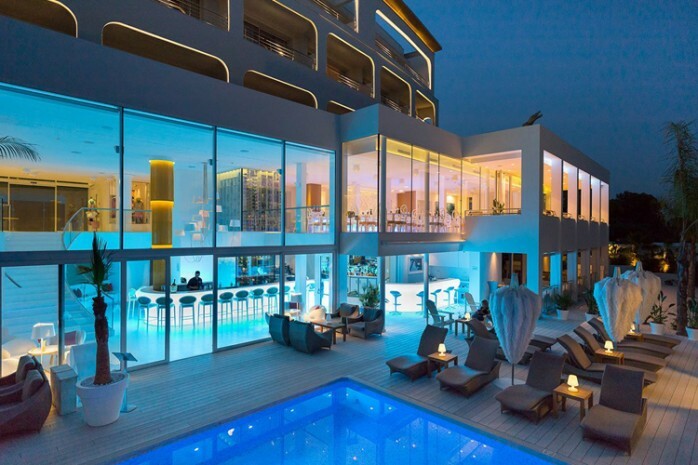 Impressive hotel in Mallorca with KNX Zennio solutions for hotels that make a difference. 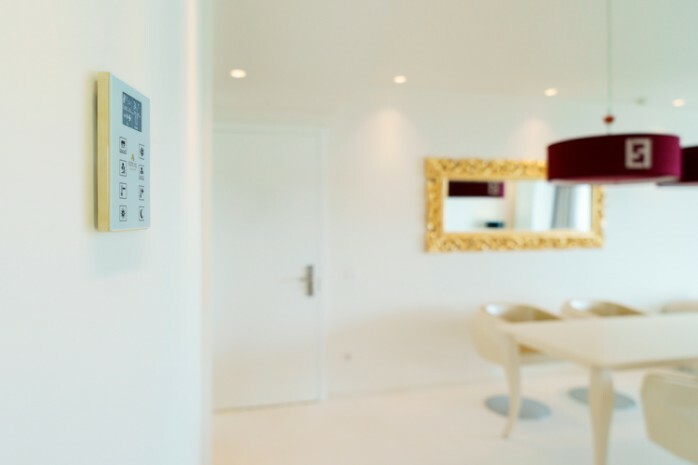 The luxurious 5 Star Portals Hills Hotel has installed the fully customizable capacitive touch panels TMD-Display One from Zennio. 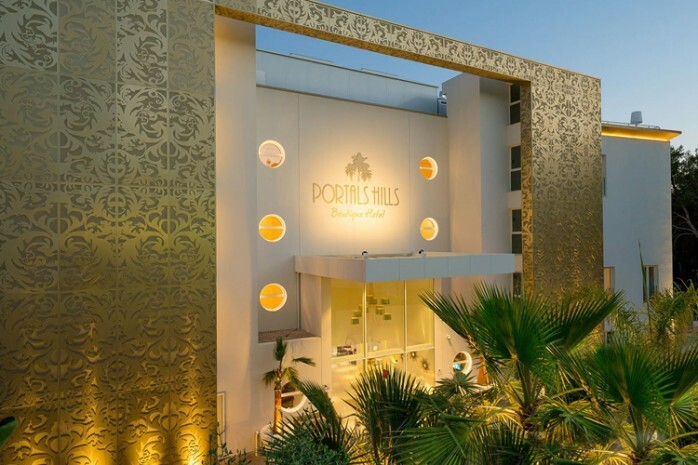 Created for sophisticated clients and lovers of design and architecture, the Boutique Portals Hills Hotel, located on the beautiful hillside of Calvia in Mallorca, offers its clients through Zennio's exclusive and customized touch panels, an exceptional and unforgettable experience full of maximum comfort and relax. The hotel, predominantly with white colors and gold decorations designed by the internationally visionary designer Luc Van Acker, installed in each room a customized capacitive touch panel that keeps the identity of the hotel and is fully integrated with the beautiful interior design of the room, thanks to the complete customization TMD-Display One allows, such as the selection of different frames, in this case a golden one. Each room has capacitive touch panels TMD-Display One with 8 customized buttons and functions for fully controlling the climate (on/off, ventilation, temperature, and so forth), and run different scenes when guests lie down and get up, allowing the enjoyment different lighting scenes according to the moment of the day. Zennio capacitive panels played a key role in completing a truly and unique guest experience in these idyllic rooms that are a joy to the senses.